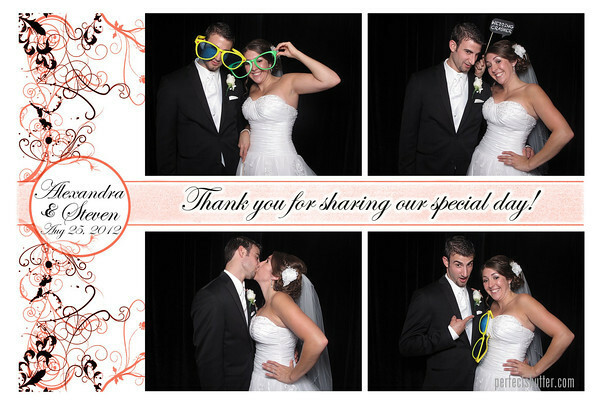 We celebrated with Kelsey and Jordan this past weekend. 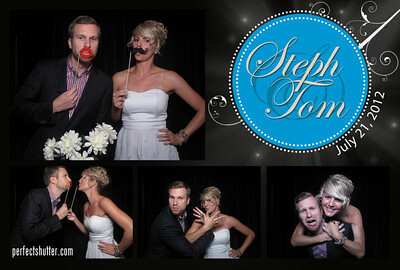 We were super excited to usher guests into our photobooth. 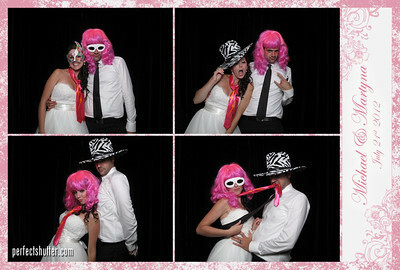 All the guests had a blast with our props and couldn’t stop posing for the camera. 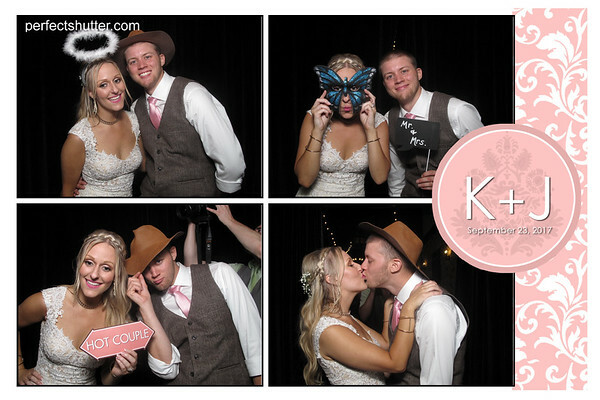 To everyone who celebrated the night with us, thanks for creating all the amazing photo booth memories for Kelsey and Jordan! Thanks so much for having us at this wonderful celebration for all your hospitality. Check us out on our Amherstburg, GTA, Toronto, Markham, North York, and Mississauga photobooth Facebook page to see what’s happening! What a wonderful wedding! This is our first time at the Verdi Club in Amherstburg, Ontario. The hall was decked out with decorations by Windsor Decor. It was very classy and the beautiful colors of gold and silver matched very nicely throughout the hall. Our photo booth was placed right next to the head table, so we were literally partying with the bride and groom the entire night! =) During the party, we had a special guest. Who was it, you asked? Santa Claus of course! But he delivered no gifts, it was photo ops only. 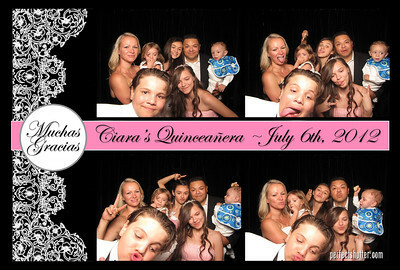 Everyone had a blast in our photo booth, the kids especially. They were pretty creative in creating their own props. 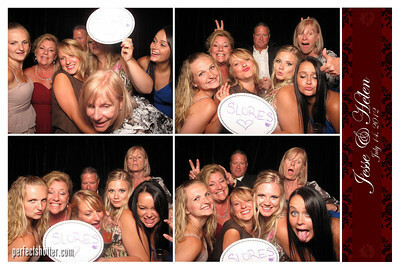 We even had the belly dancer come in the booth and party with the bride. This wedding was so much fun, thanks for having us! Congrats once again. 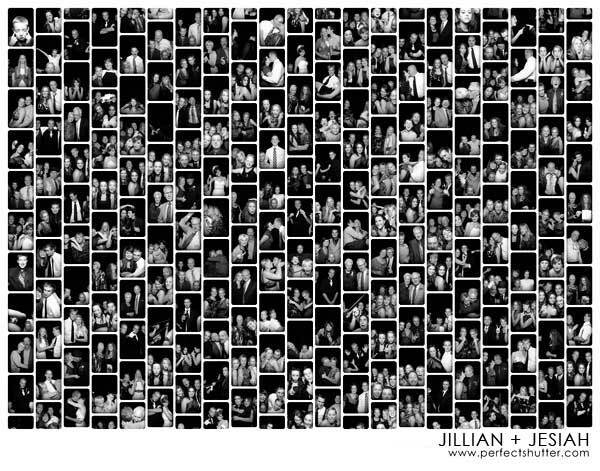 Perfect Shutter spent Saturday night hanging out with newly weds Frank & Jenn and their very fun bridal party. 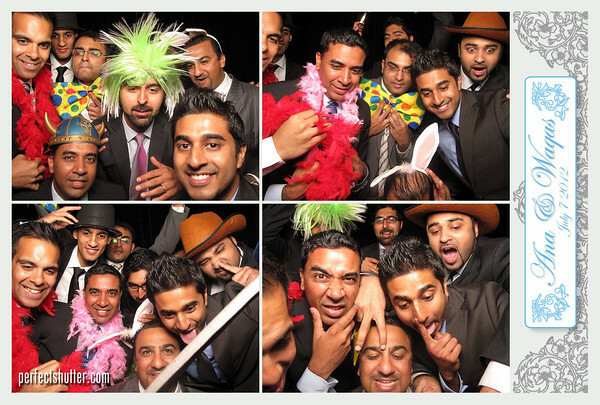 When guests weren’t tearing up the dance floor they were lighting up the photobooth! The green wig, batman mask and animal hats were definitely a reoccurring culprit in many of the pictures that were taken by guests. 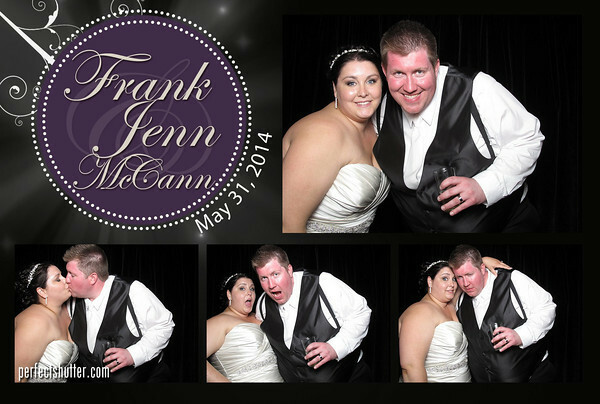 Thanks for having us at your wedding Frank & Jenn, we hope everyone enjoys the pictures! 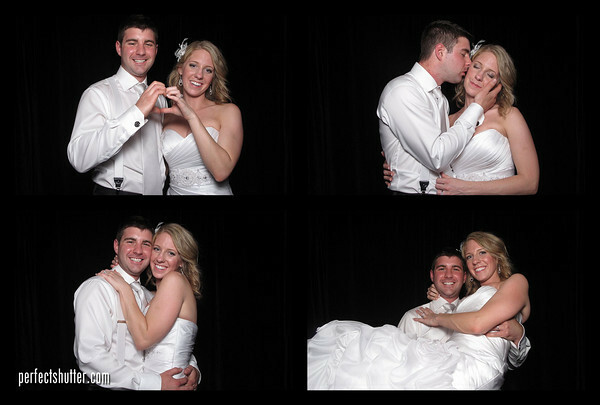 We threw a wedding photo booth party for Jillian and Jesiah at the Pointe West Golf Club this past weekend. This group was impressive, they are filled with dancers! 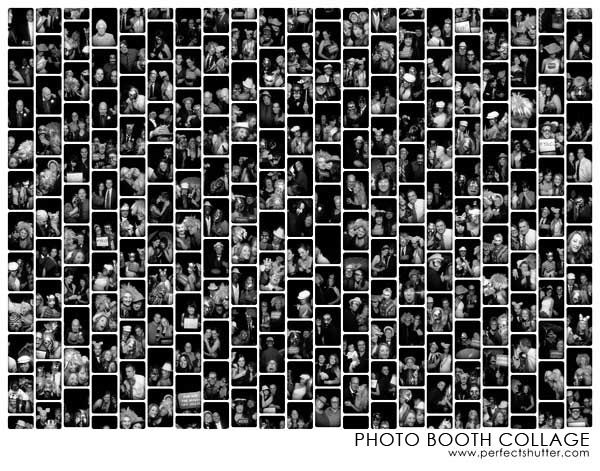 There were many choreographed dances throughout the night and the crowd continue to dance all night long while lining up for the photo booth. Their guests absolutely loved our props but they couldn’t help themselves adding more props of their own. (i.e. flowers, bouquet, homemade frames, etc) Their memory book was filled with warm messages from family and friends. It’s definitely a keepsake they will treasure for years to come. Thanks so much for inviting us to your wedding Jillian and Jesiah! A big congrats once again! 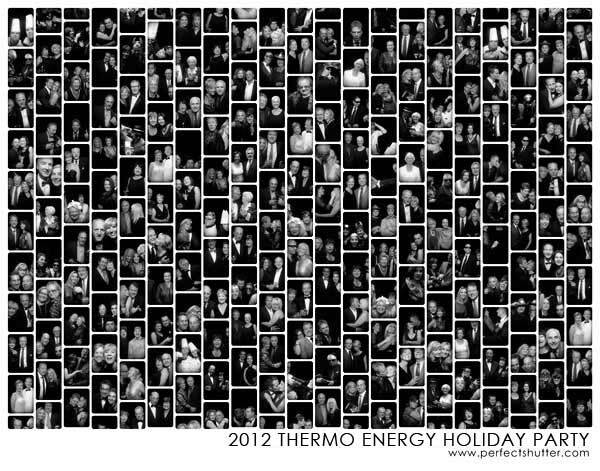 We celebrated with Thermo Energy’s crew this past weekend. It was a very intimate, family type vibe throughout the night. Co-workers truly treat each other as family and it shows. There were tons of gifts distributed throughou the night. A flat screen TV, trip for two to Chicago just to name a few. And no, we didn’t get to participate. What a bummer! 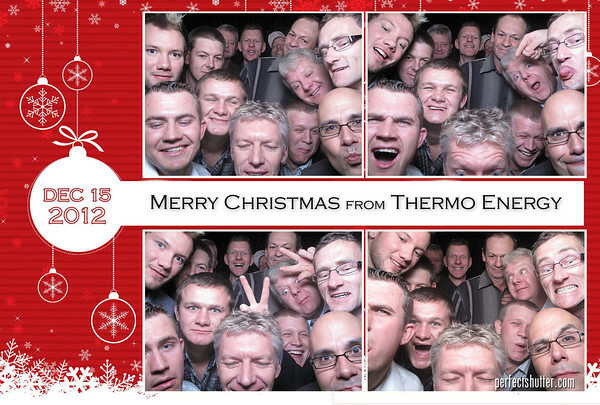 =) But to cheer us up, they announced a photo booth game for the night. The siliest and the most photogenic pictures will be warded with prizes. We were super excited to usher people into the contest. To everyone who celebrated the night with us, please make sure to go into the gallery and vote! Thanks so much for having us at this wonderful celebration. Special thanks go out to Karen, Debbie, Mary and Henry for your help and hospitality. Check out all your friends and co-workers on a single piece of artwork! Check us out on our Windsor, Amherstburg, Chatham, London and Toronto (GTA) photobooth Facebook page to see what’s happening! 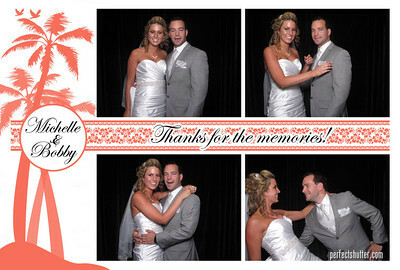 We celebrated a beautiful wedding with Rebekah and Mitchell at the Pointe West Golf Club of Amherstburg. 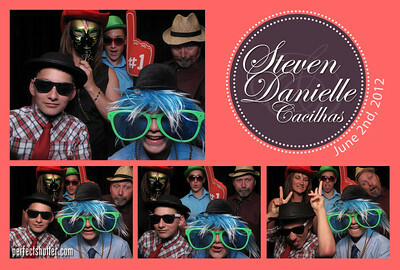 It was a spectacular night, their family absolutely loved our photo booth. There were a few kids that couldn’t resist goingt back to the booth over and over again. The line was so longn that the bride and groom had to wait to party in the with their guests. There were a few guests that came across a fake rifle as props and they had the mobster hat to pull it off too! 😉 There were also many groups of people going in all at once. As you can see from the image above, Rebekah was surrounded by love ones the entire night! Congrats once again to Rebekah and Mitchell, thanks so much for having us there. 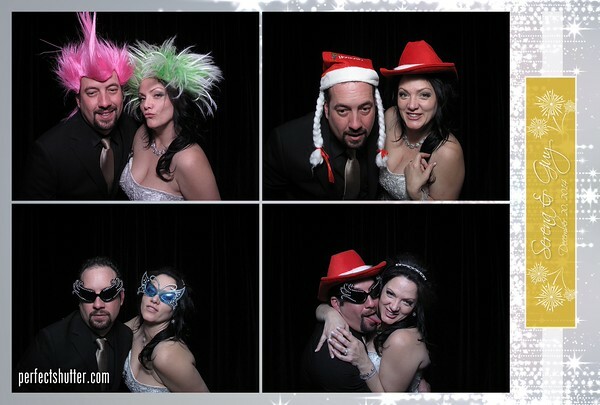 Check us out on our Windsor, Leamington, Chatham, London and Toronto (GTA) photobooth Facebook page to see what’s happening! 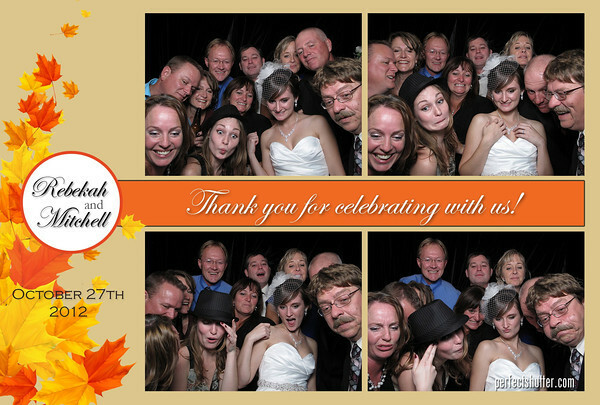 We were invited to Alexandra and Steven’s wedding at Pointe West Golf Club in Amhersburg, Ontario. Alexandra did a fabulous job with the decoration for the venue. They had a beautiful ceremony on the patio and took some great shots at the staircase. Our photo booth was setup right above the staircase and we were ready to rock and roll with tons of props but Alexandra brought us more props just in case. What can I say? You can never have too much of a good thing. 😉 Ammar from Nxt Level did a great job breaking the ice with good music and setting the vibe for the night. 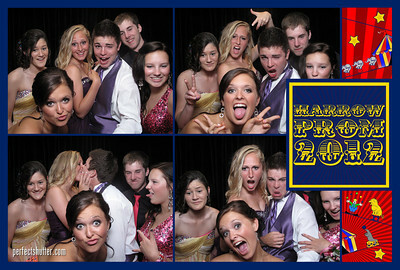 The great vibe carried through to our photo booth. Everyone had a great time singing, laughing, dancing and partying in until midnight. Alexandra’s nonna was hesitant to party with us at first but had no trouble once she realized how easy it was. 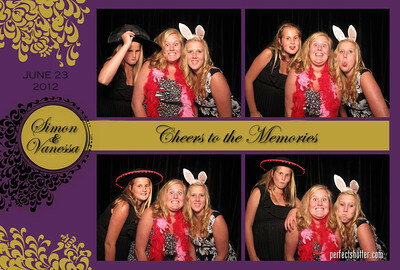 Thanks so much Alexandra and Steven for inviting us to such an wonderful and entertaining wedding. Congrats once again!